I tried a quick pre-work sea-watch this morning. It was dry when I left home, the sun was just coming up. 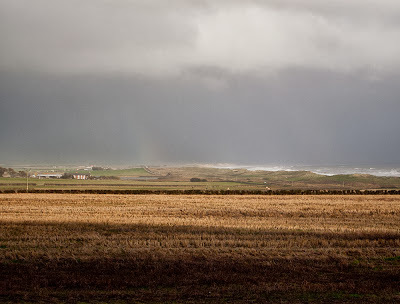 When I got to Druridge it was lashing it down with rain. The light, looking out to sea, was awful. The rising sun was catching on the rain droplets making visibility poor, anything beyond half way out was little more than a silhouette. Gannets and few duck flocks were close in, but anything exciting was obscured. I gave it half an hour before packing in and heading to work. 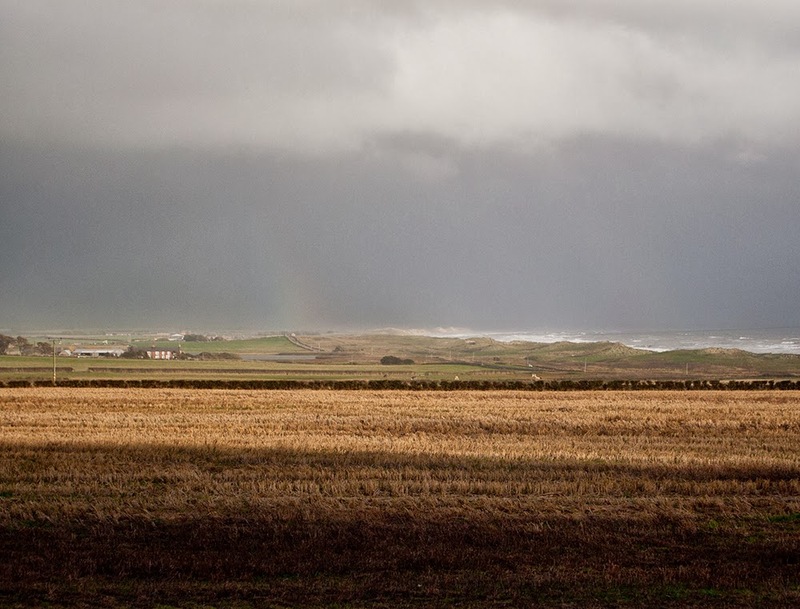 This was the view looking back from Cresswell (where it was still dry) to Druridge.